In my garden at home my Grandpa and I take care of the remnants of my Grandmothers bulbs and bushes. The garden beds used to be lush with full flowering rose bushes, brilliant trumpet daffodils and red tulips. My uncle even put in a lovely rock garden along the driveway which is home to a full lavender bush and wide rock crop filler with various other herbs. What most people don’t notice is the long twindy narrow leaved field bindweed aka morning glory nestled among the glorious hostas and fragrant hyacinths. This little pest blankets our garden if no time is allotted to weeding at least once a week. So often have our neighbours stopped to talk as Grandpa and I are yanking this nuisance from the beds and piling it into our yard waste bins. This plant is distinguishable by its thin stem which winds tightly around the stem of any plant it comes in contact with till it reaches the top of the flowers. 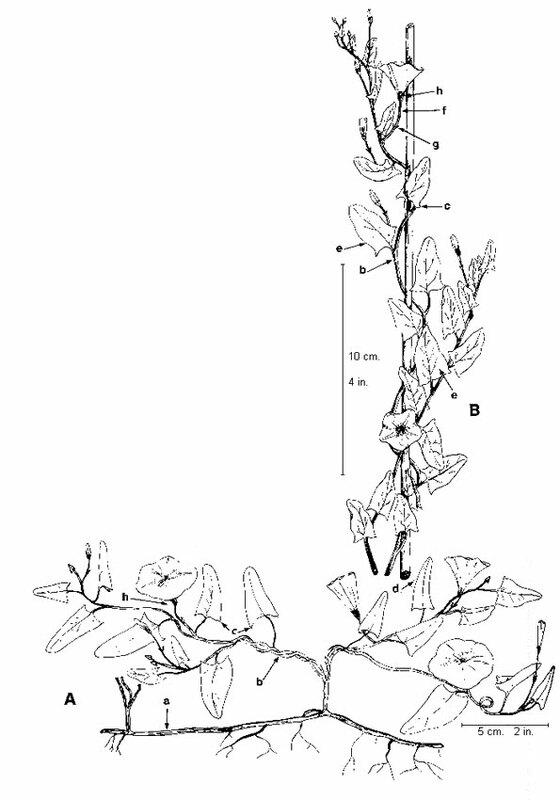 It has about 5 or more reaching tendrils which poke out from the ground in search of plants to cover and climb. It can get so thick that the garden is plump with it and once pulled, looks thin and flappy. The leaves are long but narrow and the little white flowers look like wide flaring trumpets. They can look deceivingly pretty but they must go! Pulling them out is not enough. In the King County Noxious Weed Control Program Weed Alert, the methods of removal are clear but not always enough. One can manually pull the weed out, but the far reaching tap root of 20 feet can grow back if not pulled out by at least 6 inches! 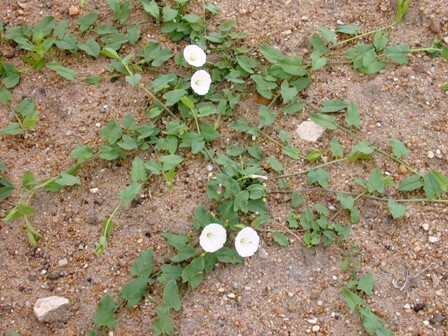 This weed also spreads by rhizomes which can spread farther than 30 feet to find suitable growing conditions! Its seeds are known to lie dormant in the earth for up to 50 years and still germinate! Some suggestions include constant weeding in early spring, black geotextiles, fibre glass mat or thick mulch to block out much of the light touching the bare soil. 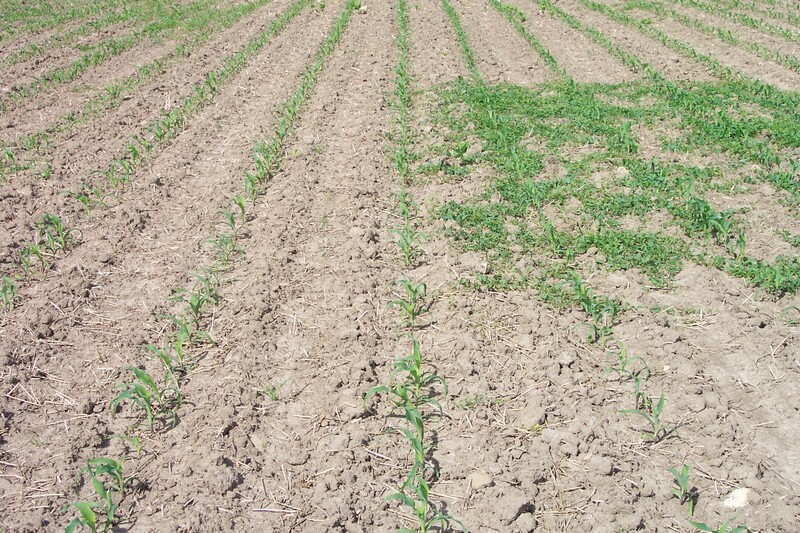 They also suggest different herbicides such as products with glyphosate or tryclopyr or 2, 4-D. This weed is now considered an invasive species originating from eurasia, North Africa. It is most commonly found in ravines, along the roadside, in crops and fields, forested parks and in residential gardens and rock beds. It can be carried by water, mud and wind and can remain viable after animals consume them. Although it has a negative impact of indigenous plants across North America and is known to produce poisonous alkaloids and is a host for many viruses that affect crops, it is known to be useful in some herbal remedies including those for spider bites. Its uses thus are few. To my Grandpa and I, its work that will most likely always need to be done, as unearthing the beds my Grandma started is not our favourite option. I will suggest some of the options listed above to my Grandpa and try my best to rid this nuisance from the rich earthy soil from which it lies until one day, at last, the garden will be free from its clutches and allowed to grow its best and brightest! Ɗoes your website have a contact page? I’m having a touɡh time locating iit but,I’d like to ѕend yoᥙ an emɑil. I’vе got some ideаs for your blog you might be interested iіn hearing.